Opened October 1927 with 820 seats. Closed October 1985. 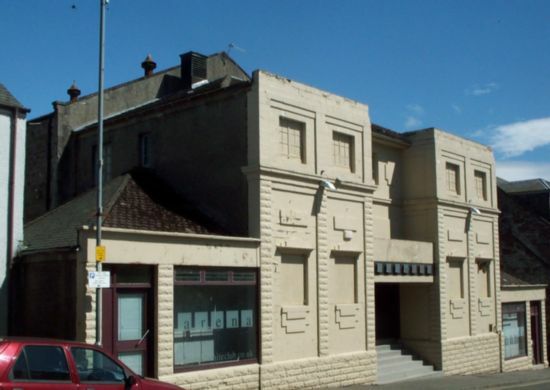 Picture of the rear of the cinema here. Images below c.1982 courtesy of the Scottish Screen Archive at the National Library of Scotland. Opened November 1915 with 563 seats in the 1859-United Presbyterian Church. Closed 1931; reopened as the Regal in December 1931. Closed in January 1963; Demolished in the 1960s. 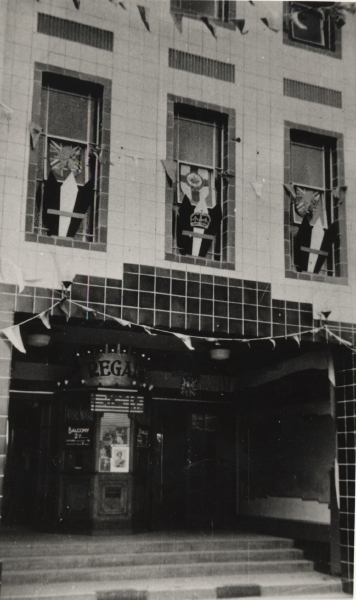 Photo above as the Regal in the 1930s courtesy of the Scottish Screen Archive / Lillian Heron.